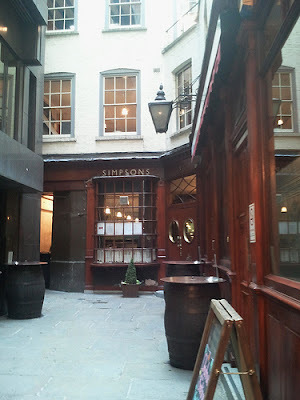 Founded by Thomas Simpson in 1757, on the present site on Ball Court off Cheapside given to him by his father, Simpson's Tavern is an old fashioned English chophouse, and a bit of a City institution. 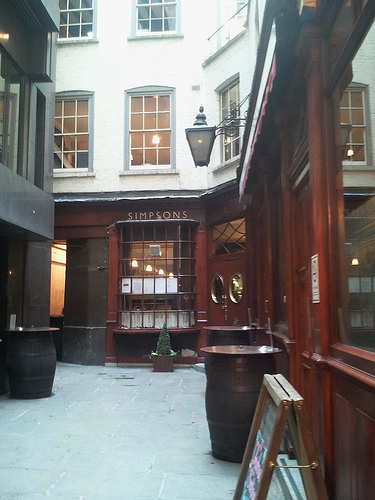 We are told that the buildings were originally two houses, knocked together to form the present building which has nevertheless stood largely unchanged for more than two and a half centuries, and continues to offer reasonably priced traditional English fare each weekday lunchtime - and at breakfast from Tuesday to Friday - to an audience largely made up of those who work in the area. 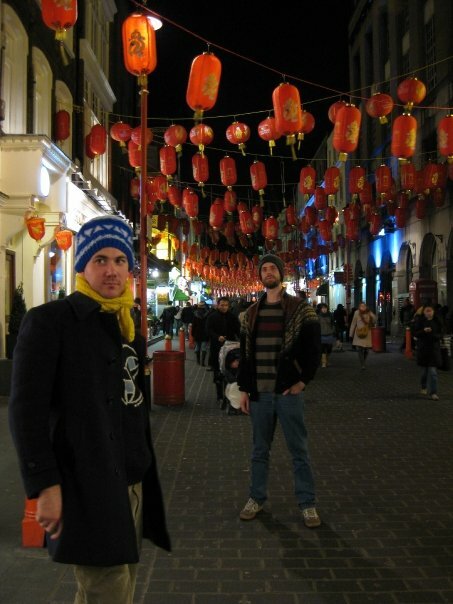 Though Chinese New Year fell on Monday, when we began the Year of the Dragon, the annual celebrations in Trafalgar Square do not take place until today. We are told to expect the annual parade through Chinatown, as well as 100 performers in Trafalgar Square and an exciting fireworks finale just before 6pm. Sounds smashing. 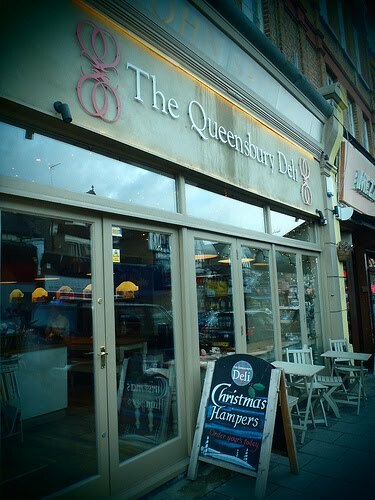 A sister establishment to fairly-standard-upmarket-North-London-pub the Queensbury, the Queensbury Deli is a fairly-standard-upmarket-North-London-cafe with a healthy patronage by Willesden Green's middle classes, and a decent place sort of place for a cup of tea and a piece of cake on a cold winters afternoon. They also do nice sandwiches, and a range of salads and other deli items, all served with a smile, and can even produce bespoke cupcakes if that's your sort of thing. They also sell teas, cordials, wines and (in answer to any questions you might have about the possibility of noisemakers during weekday mornings) baby food. 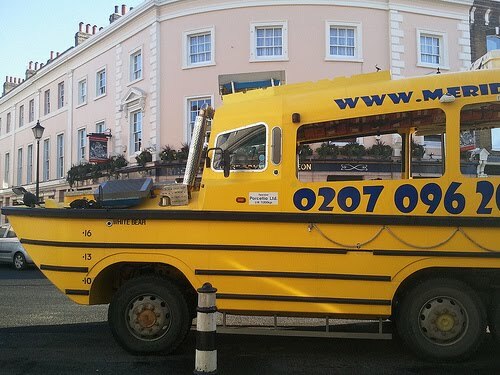 To your author, there has something quite special about the yellow duck buses which stalk the streets of Waterloo, waiting to splash down into the Thames, and for those who also don't hate them there is good news, for they have come to Greenwich. The amphibious craft, first developed for use during the Second World War, have been in London since July 2003, and are also popular in other cities around the world, and their latest London route takes tourists (and it will be tourists) on around Maritime Greenwich and onto the river for a tour which takes in views of the Millennium. 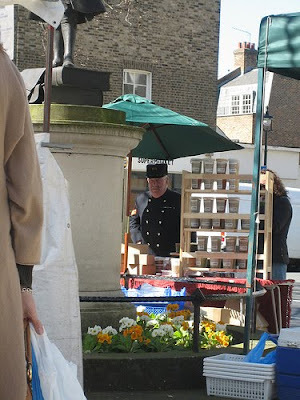 At £15 a pop its shamelessly touristy, but at least it is trying. 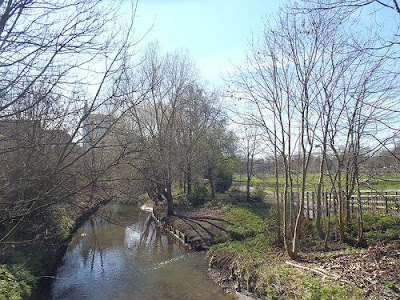 The Tarn, in Mottingham, is a small lake and nature reserve which once stood within the grounds of Eltham Lodge, a seventeenth century building which was itself once part of the grand estate of Eltham Palace. 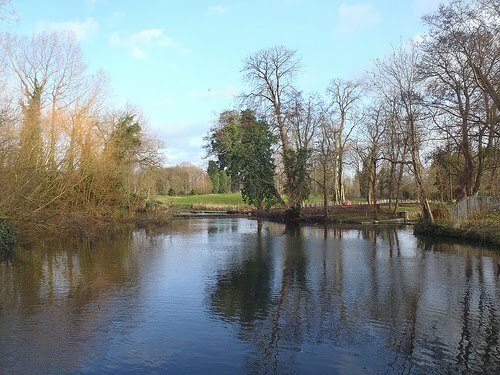 Whilst the Palace still stands, much of the grounds of which were subsequently adopted by the Royal Blackheath Golf Course, and the Tarn is one tiny remnant which is reminiscent of its former glory. Home to a range of wildfowl, the lake is a great place to spot Canada Geese, Tufty Ducks, Coots, Moorhens and Mandarin Ducks. It is also said to be home to Pipistrelle Bats and your author even spotted some Parakeets in the trees during a visit last weekend. 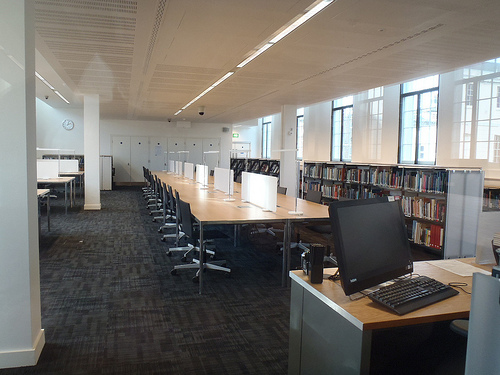 Your author took up a kind invitation from the National Maritime Museum over the weekend to visit the updated Caird Library in their brand new Sammy Ofer Wing. 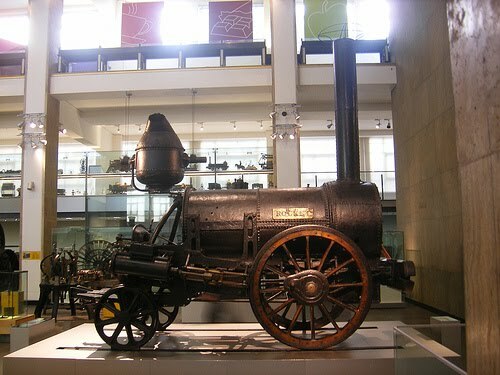 Named after the shipping magnate Sir James Caird, it is the largest collection of its kind in the world, and holds some fantastic documents, books, pamphlets, maps and periodicals dating from the 1400s to the present day. The library is open to all and free, with visitors just needing to pre-register before their visit to access their vast collection, which includes the entire P&O archive, many thousands of crew and ship registers, rare and printed maps and atlases and other items covering every aspect of maritime history. 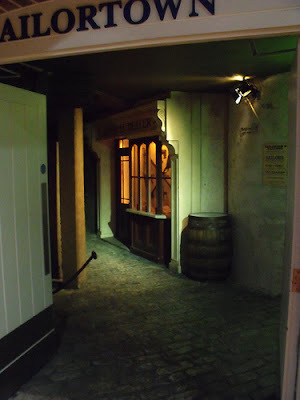 They also have a particularly interesting book on old pirate haunts, the Lundy Island section of which kept your author busy for some time. 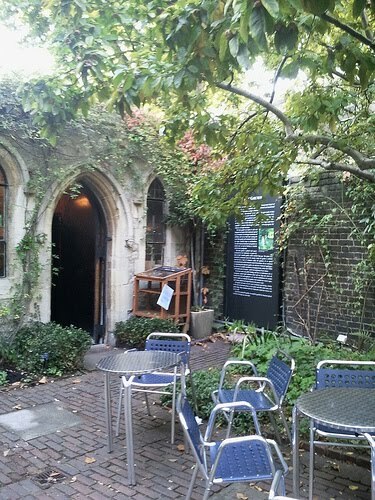 Part of the Garden Museum at Lambeth Palace, the Garden Café is a relaxing spot to while away a few hours, and offers seasonal food, as well as drinks and cakes baked in house. The Cafe spreads itself between the inside of the museum and the interesting knot garden which, whilst not at its most impressive in winter months, still offers a sheltered spot to try to soak up some winter sunshine. Recently in the news as the offices of the Secretary of State for Scotland, a job which may or may not have a future, Dover House is the home of the Scotland Office, and whilst it is not open to the public, its impressive portico is a commanding sight on Whitehall. Built on Crown land between 1755 and 1758, Dover House is still owned by the Crown Estate and leased to the Scotland Office. The building was previously a private residence home to a French ambassador and the poet Lord Byron. 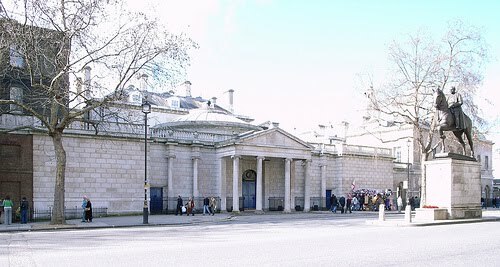 The building is entered through a Georgian rotunda, and its offices are often described as the best Ministerial offices on Whitehall. 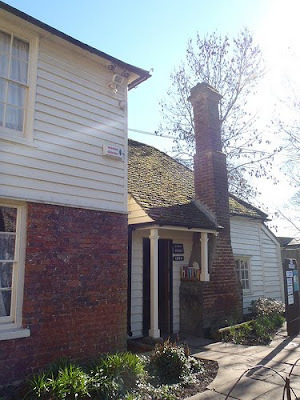 The tiny bookshop at the National Trust's Morden Hall Park in South London is a gem, with a pleasant selection of battered paperbacks and informative non-fiction books, and not a kindle in sight. Part of the grounds of the old Hall, which make up the 125 acre park, the bookshop is open daily from 11am - 3pm at this time of year, and is found is in a historic building beside the old watermill, which was once used to grind tobacco for snuff. London's largest film and television studio is found just to the South of the Olympic workings of Stratford, based around a tidal mill on Three Mill Island, in Bromley-by-Bow, that can trace its history back to before the Domesday Book. In the area, Riverside Green and Three Mills Green, offer two open spaces worthy of exploring, and though access has been limited at some points due to pre-Olympic works, they are still possible to wander, if a bit more difficult to access. 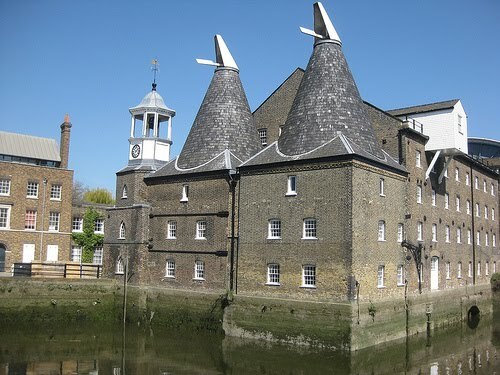 The stunning Grade I Listed House Mill, built by a Huguenot family in 1776, is a particular highlight, is open to the public at some times of the year, but more on that another time. 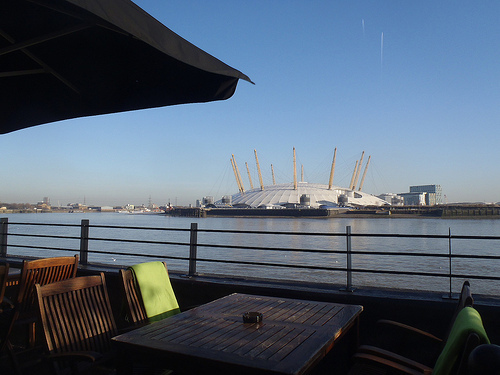 For more information, see http://www.leevalleypark.org.uk/en/content/cms/leisure/gardens_and_heritage/three_mills_island/three_mills_island.aspx, or for a great walk leaflet click here. 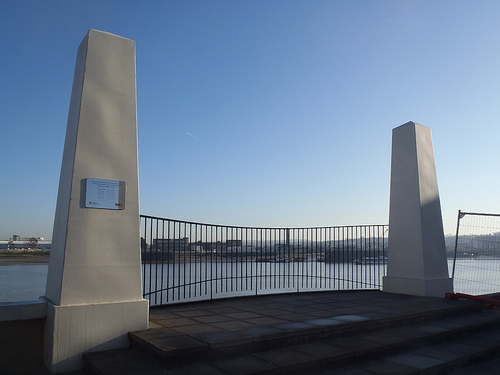 A poignant memorial on the Isle of Dogs, the Dudgeons Wharf Memorial marks a spot where five men from the London Fire Brigade died in the greatest single loss of life since the Second World War. The firemen died when oil tanks exploded as they tackled a riverside fire at Dudgeons Wharf on 17th July 1969. A plaque remembers Michael Gamble, John Appleby, Terrance Breen, Paul Carvosso and Alfred Smee, who had come to fight the blaze from various stations across the city when the tragic incident occurred. 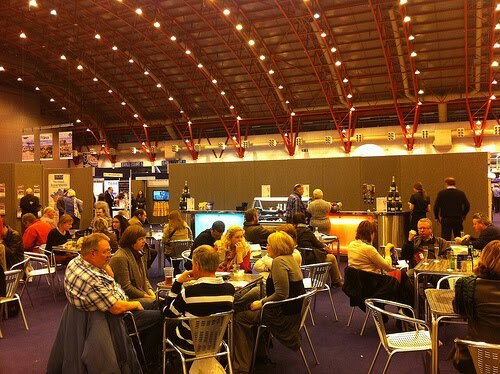 With an equal potentially to be great fun, or pretty awful, the France Show is taking place at Earls Court this weekend, with French food and wine, tourist information for those considering holidaying in France, and exhibits on art and culture in France. Seemingly put on by Archant, the local newspaper publisher who also publish a magazine on life in France, the exhibition like many of its ilk is largely a money-making exercise, but for those like your author with a real interest in tourism and place, they do have a real fascination. 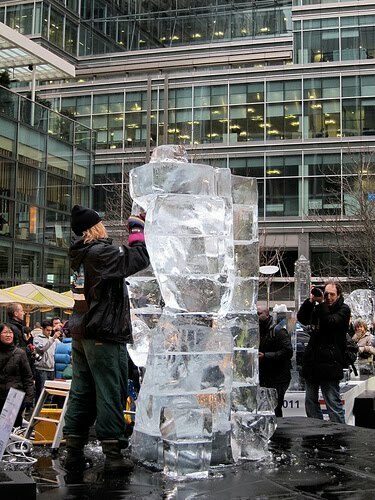 It's the second and final day of the London Ice Sculpting Festival today, across Canary Wharf's Montgomery Square, Canada Square Park and Jubilee Place Shopping Mall. Eight teams from around the world have been taking part, manning the chainsaws to produce some interesting and artistic sculptures. Today, we are told there will be a Frost Fayre with wintry snacks and drinks, then this afternoon your chance to vote for your favourite sculpture - albeit within the cringingly corporate theme of 'team spirit'. 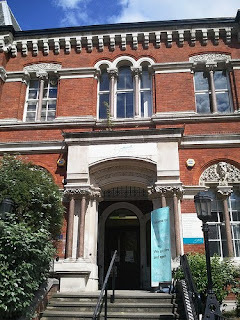 First opened to the public in 1906, the Cuming Museum, is based around the results of a century of collection by Victorian father and son team, Richard and Henry Cuming, between 1780 and 1900. 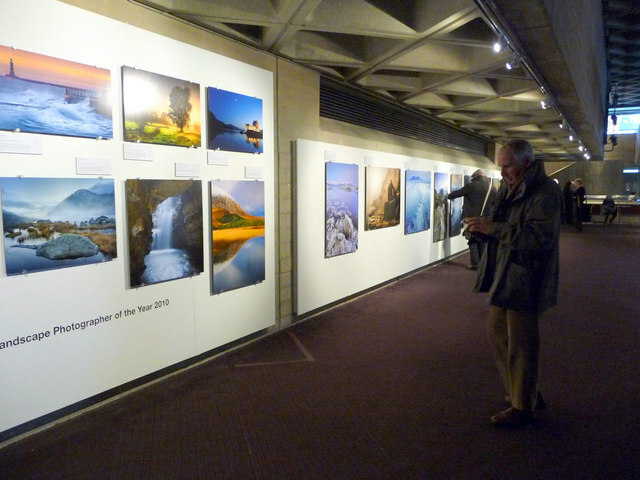 Now displayed over a couple of rooms in Old Walworth Town Hall, it is free and worth popping in to if you're in the area. 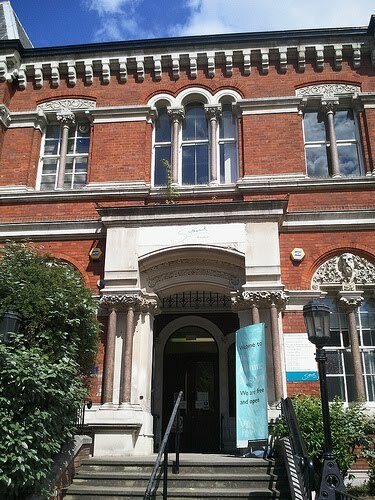 There are also some interesting exhibits about the history of Southwark, which supplement the objects selected from the Cuming Collection's 25,000 artefacts from the world of archaeology, art, geology, textiles, nature, coins and ceramics. The only slightly odd thing about the collection is that the Cumings appear to have gathered the vast majority of it from auction houses, when it always seemed to your author that the joy of the Victorian gentleman collector was travelling around the world gathering things. 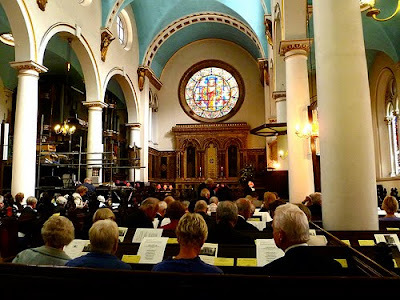 Though to a amateur like your author it bears a resemblance to one of Nicholas Hawksmoor's churches, the St Paul's in Deptford was actually designed by Church of England commissioner Thomas Archer, the designer of St John's Smith Square, and consecrated in 1730. It is no surprise, however, that it looks similar, as it was constructed as part of the same Commission for Building Fifty New Churches which marked an expansion of London at that time. 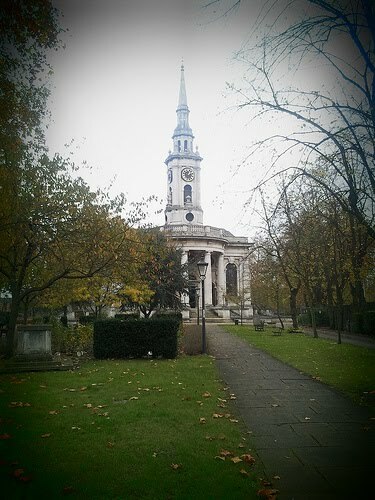 Whilst only a handful of the churches were ever completed, thankfully the Deptford church was one of them. Walking across Hungerford Bridge yesterday afternoon, your author stumbled across a place he has heard of in legend before, but never seen first hand, The Skateboard Graveyard. This Graveyard is where skateboards go to die, and is littered with the corpses of boards thrown from the Golden Jubilee footbridges when they have been broken, largely by skaters who practice at the Southbank Centre. Londonist has even discovered a website where obituaries are left for boards deceased. The boards are thrown from the bridge onto the supports below, where they remain inaccessible and untouched, seemingly indefinitely. The Lion's Part hold their annual Twelfth Night Celebrations on the South Bank from 12.45pm today, in a performance event featuring a Mummers Play, Wassailing, a symbolic Holly Man and more traditional ends to the Christmas season. 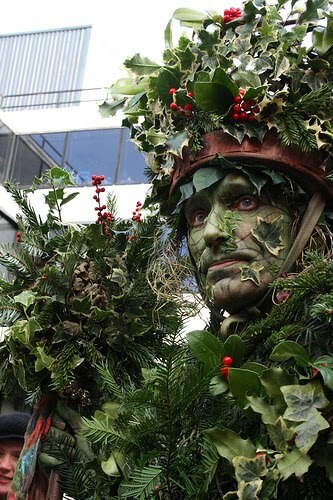 Though Twelfth Night was officially two days ago, on January 6th, the Lions Part are a group of professional performers who chose to celebrate it on the nearest weekend, using traditional English heritage to mark the changing of the seasons, using the South Bank beside the Globe Theatre and the George Inn on Borough High Street to stage their free performance. 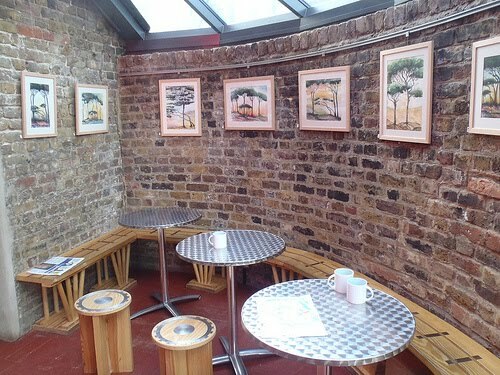 During a trip to the Brunel Museum this week, your author enjoyed fantastic hospitality and a welcome & warming cup of coffee in the recently refurbished cafe. 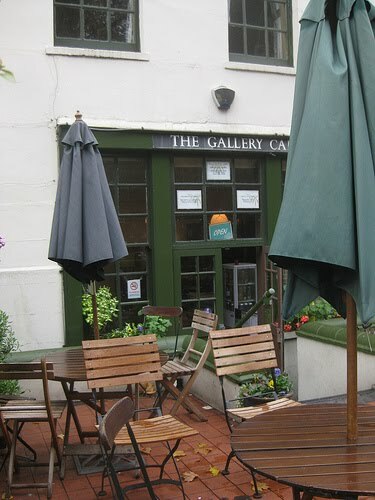 Alongside tea, coffee and home-made cakes, the café also serves as a gallery, hosting exhibitions by talented local artists and photographers, and is a welcome addition to a museum well worthy of visiting. 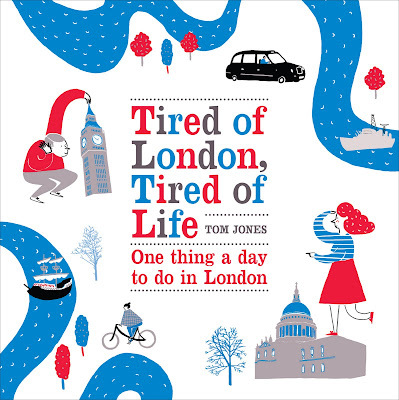 It's been on the shelves in some shops since the beginning of the week, and has even already sold out in a fair few, but as today is the official publication date for the Tired of London, Tired of Life book, your author would not be doing his job if he didn't encourage you to consider buying a copy. 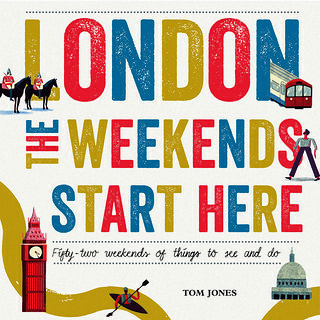 Your author alone has been writing this website every day for more than three years, spending weekends happily wandering the streets looking for interesting things to document, and late nights researching and writing, just for the love of sharing ideas of things to do in London. There has never been any request for anything in return, and there was never any question of whether there should be. It has only ever been about encouraging people in London to engage with the place in which they live, and spreading the word about what a fascinating place it is to people further afield. 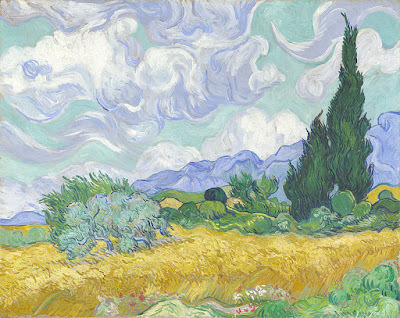 However, if you have enjoyed it, and would like to do something in return, it would mean a great deal if you would consider buying a copy of the book. 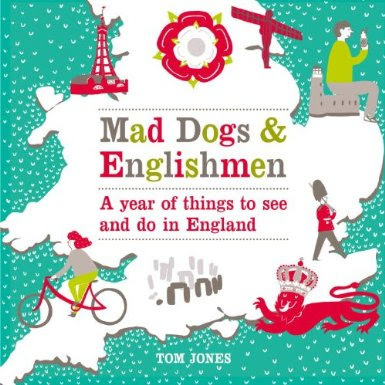 The best way to do this is to go into your local independent bookshop and ask if they have it in, or can order one for you. 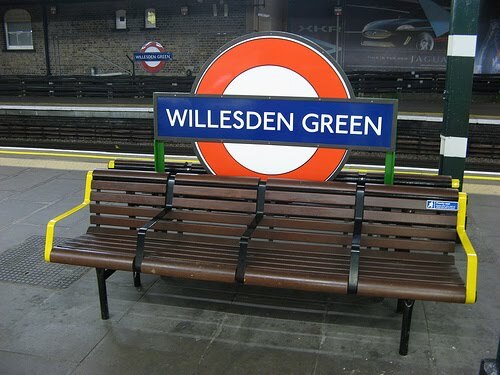 This would be amazing, and would make one Londoner very happy. 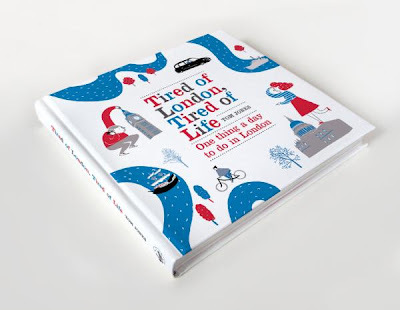 For more on the book, see this review on Londonist, or listen again to Robert Elms's BBC London show from Monday. 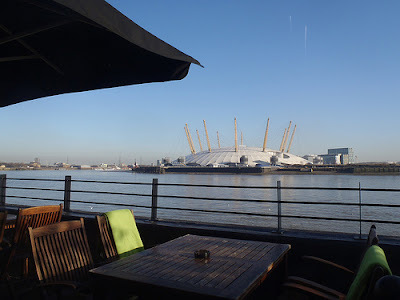 The Meetup website is a fantastic tool for bored Londoners, and your author uses it to organise monthly Talking to Strangers events, themed around conversation. 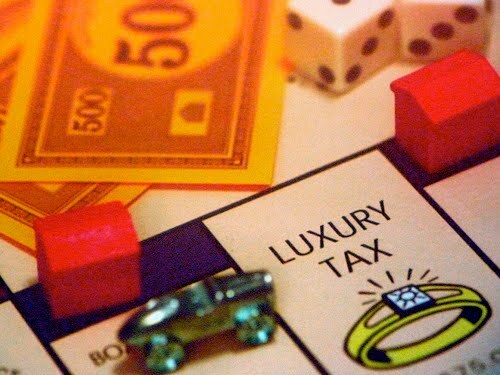 But there are scores of other great Meetups around, and one particularly popular series, brought to your author's attention by Londonist, is London on Board, a group of more than 1,000 people who like board games meet up to play them. The latest event takes place this evening, at the Red Herring in Gresham Street, and some of the games are far beyond the simple knowledge of most of us, but friendly members are on hand to help you learn new ones, and get involved in some of the more unusual games on the market. Another City of London church rebuilt to designs by Sir Christopher Wren, St Michael's Cornhill was completed in 1672, and remains largely as it did upon its completion, having been largely spared the bombs of the Second World War. The church is known to have existed since before the Norman Conquest, with records showing that it was given to the Abbot of Evesham in 1055, and we are told that the history of the area goes back much further as the church stands near the site of the oldest site of Christian worship in London, a church which was founded by King Lucius in 179 AD, and it is also built over the Basilica of Roman London. The Ramblers are taking the initiative this week and organising a fesival of walking to get those of us who have over-indulged back in shape. 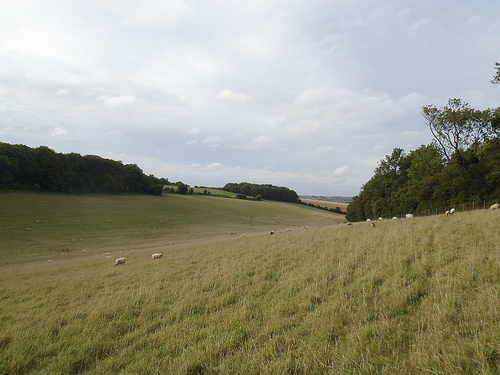 Whilst most of the walks left bright and early this morning, Bromley Ramblers are leading a walk over 4 miles from Chelsfield to Pratt's Bottom at 1pm, crossing farmland and Chelsfield Lakes golf course to Pratts Bottom.